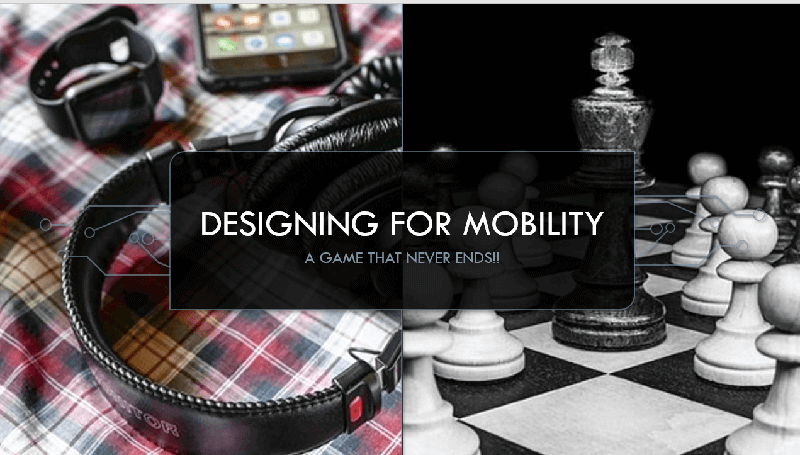 SPEC INDIA/Blog/Designing for Mobility, A Game That Never Ends! Technology changes at a much faster pace than mobility app development fathoms. The quickly changing device landscapes and the continuous additions of complexities & parameters puts the meaning of mobility in a completely different perspective and definitely does not remain restricted to only mobile phones. Engaging the millennials is much more than simply the mobile phones. Tools, frameworks and different methodologies needed to design various apps keeps on changing every passing day, assuming different forms altogether. The millennial day designer focuses more on diverse mobility rather than only smartphones to adapt continuously & completely. The primary forms of channels of communications & digital interactions change too. Mobility becomes the center stage of all enterprise solutions & apps binding diverse processes together & improving communications between all stakeholders of the enterprise, right from the employees, partners to of course the customers. Researches show that mobile subscribers today are in billions and are connected at all times. Laptop sales plunge with the adoption of mobile devices including tablets which are much easier to handle and fulfill the millennial age requirement of being connected on the go. Mobility provides instantaneous connectivity at all times enabling easy, safe & secure data exchange across channels of communication. It enables the exchange of data with low barriers of usage and minimum setup requirement. Constant reinvention spurs increased popularity & investments which help in developing an unending cycle of innovation & market proliferation. The continuous new avatars of the mobile devices keep bringing changes to the user interfaces to deliver fresh new user experiences. It is these experiences & interfaces that play an all-important decisive role in the success or failure of the app or solutions made for the device. Designing for a mobility in fact means catering to the various different devices to a UX design company. Tablets squeeze in the laptops and move away from the traditional user interfaces beginning truly to make multiple gestures common place. A truly responsive interface is definitely advocated to cater to the various platforms, screen-sizes as well as OS versions. 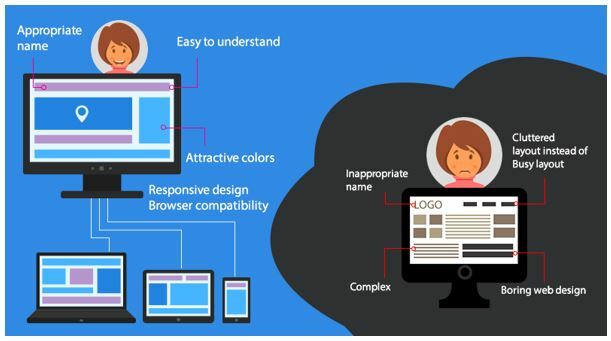 Contextual abilities need to blend in to provide a comprehensive user experience as well. In order to develop the UI for health bands, many parameters need to be included like the heart rate, number of steps walked, blood pressure and so on. The user interfaces track different parameters to aggregate & reveal the diet and exercise regimens measuring physical activity and various stress levels. 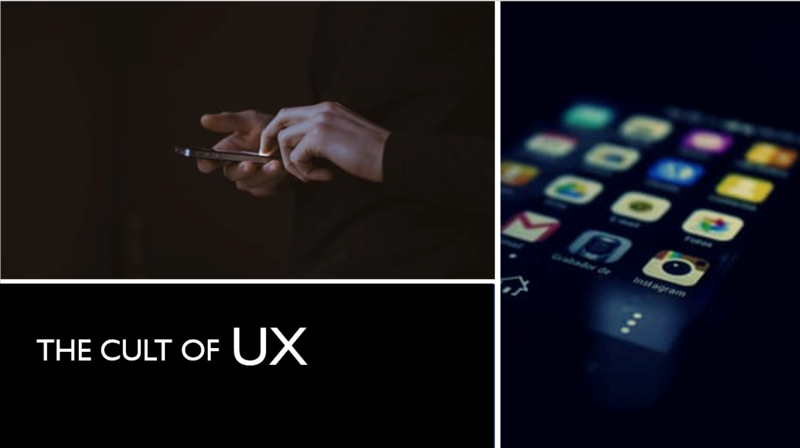 The user experiences are designed to focus on the various personal factors which are tightly interconnected to each other. With smart watches the design caters to glances and the small space to render information. The user experiences integrate nudges, buzzes and other innovative gestures to communicate. The screen itself sets to become obsolete soon. Sensors have their discrete presence in the physical world to fuse in into the virtual world seamlessly. The unobtrusive user experiences involving sensors become completely a different take and are all about listening to the environment & deciphering user behavior. Beacons constantly challenge the designer to turn them into effective tiny wonders to grab the attention of the users in the world of IoT. As expected, the standard approaches adopted by UX design companies to strategize for mobile devices change too. 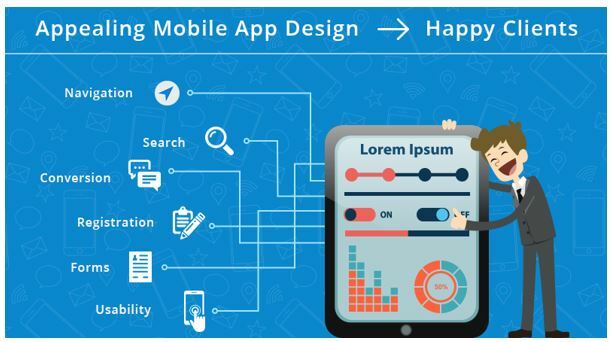 A good app design is an adapted design understanding the users and their requirements. Designers should remain focused on this point at all times and remain aware of the user’s expectations of the design. For example, before creating a fitness app, question should be who is it geared for. It will be easy for the younger generation to understand the intuitive features of the device than it is for the older ones. The competitive technology ecosystems today are customer centered and focus on understanding the user first. A critical component to creating an excellent user experience inside the app is personalized content presenting before the user, what would please them. Mobile app personalization smart ways of engaging the user and keeps the user bound to the app. User experiences integrating personalization, right from onboarding to the entire life cycle increase the usage of the apps manifolds. Statistics say that push notification personalization led to increase the open rates by 800%. App history and user behavior too is fruitfully analyzed for content customizations. In contrast to headlining the personalization, apps curate their homepages based on user behavior. Viewers certainly notice customized feeds, but may be more likely to respond if relevant. In order to satisfy the needs of users, designers need to understand the context in which the device would be put to use. A design is considered flawless only when the experiences easily adapt to the changing environment. Designers & developers both design keeping in mind the tight coupling of aesthetics, look & feel, the changing tastes in devices as well as the increasing number of sensor based devices like gyroscope, magnetometer, accelerometer and more. As there is always a constant change in screen sizes and their resolutions, developers need to come up with more innovative ideas to adapt to these market dynamics. The future of user experiences heralds intriguing concepts like Virtual Reality, Augmented Reality & Mixed Reality as well as screenless user interfaces too. 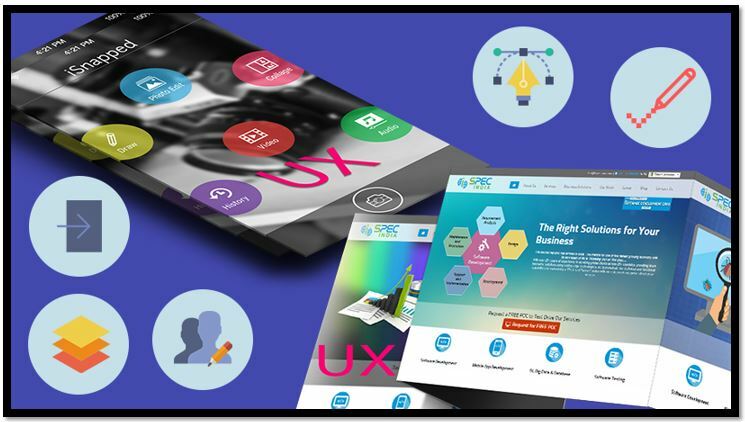 Mobile app user experience design services remain geared to combat these.